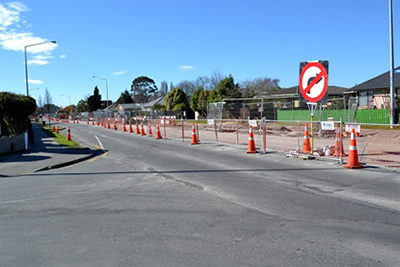 Spray Marks NZ will organise and coordinate/carry out your traffic management requirements, from a basic shoulder closure on a level one road, to multiple lane closures on motorways and state highways. With a team of over 20 staff including signs and roadmarkers, we are able to quickly respond to changing circumstances. Spray Marks NZ has a variety of trucks / equipment to suit your job from LV To L 2/3. We cover the Bay of Plenty area and beyond. Traffic management plans for 24 hours, 7 days a week, 365 days a year. Get in touch and let’s discuss your requirements.